A Friday night beverage, one that I sorely wanted after a work week that left me battered, bruised, and extremely tired. I’m sure that feeling is not unique and was a holdover from an extra-long Thursday that had fewer wins than I’d hoped. 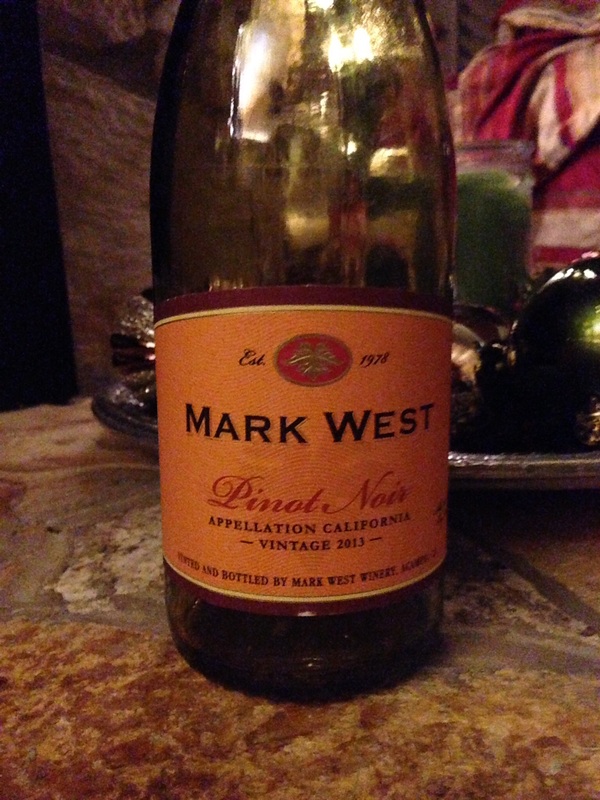 2013 Mark West Pinot Noir, California, USA. Mark West, particularly the Pinot, is no stranger in our home. The Pinot Noir is slightly overpriced in NJ and better here in NC–but the 2013 is still not a bargain. It’s ususally fruit-forward but this one just feels rushed. Less nuanced, less undertones. Less distinguished, and generally underwhelming. To be clear, we did knock this bottle right back. In retrospect, I chalk that up more to having great food, conversation, and company than to the wine itself. With all the great grapes from which we can choose, Mark West–at least the 2013–will not be on our table again until the calendar (or vintage) flips. This entry was posted in Pinot Noir and tagged California, california winemaking, USA.